Coordinators: Lal Rattan, Stewart B.A. Phosphorus is an essential plant nutrient, but global population growth has dramatically reduced the availability of phosphorus fertilizer resources. Despite this scarcity, there remain numerous problems associated with the excessive and inappropriate use of phosphorus leading to non-point source pollution and eutrophication of natural waters. Identifying appropriate systems for managing soil phosphorus and reducing the risks of eutrophication are needed to minimize the environmental risks. 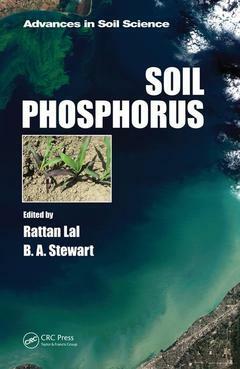 This book focuses on the availability and recycling of phosphorus; regulatory and policy issues of sustainable phosphorus use; and water quality management in agroecosystems pertaining to phosphorus. Sections are dedicated to global phosphorus reserves; cycling and pathways of phosphorus; phosphorus in agriculture; human dimensions and policy intervention; and research and development priorities. Phosphorus is a finite but crucial resource and is an essential element to all life. Sub-optimal availability and nutrient imbalance in the root zone can adversely impact plant growth, and the quality of food and feed grown on these soils. However, the proven reserves of phosphorus can hardly be adequate for a few centuries only. Yet, its misuse and mismanagement has caused severe problems of eutrophication of water and pollution of the environment. Thus, judicious management of soil phosphorus is essential. This volume is specifically devoted to availability and recycling of phosphorus, regulatory/policy issues of sustainable use of phosphorus, and management in agroecosystems in the context of maximizing the use efficiency and minimizing the environmental risks of water quality. Soil scientists, agronomists and environmental scientists, including groundwater specialists and chemists. It also would be useful to crop scientists, professionals working for national and international government agencies and NGOs involved with planning and policy in developing and developed nations, resource conservationists/management and policy makers.